personal challenges - danielasackos Webseite! I founded the organization 1.5 years ago to make a lasting contribution to the positive development for and in Africa. I have seen a lot through my travels and my love for Africa and the children and experienced many things. Seen many things that shocked me and that sometimes took me to my physical and mental limits. During this time, however, I also found my purpose in life, which I had spent years searching for desperately. I see my time on earth as a gift. I see myself as a guest here for a limited time. I see it as an opportunity given to me by God. For many years I was very busy with myself. I could barely live in the here and now, because the past and the experiences kept catching me up and taking me in so much that I was hardly able to feel anything or to be able to perceive the beautiful and positive sides and thereby the strength to be able to give something back. When I decided to work in Africa and started the organization, several aspects played a big role for me personally. The children and women and their safety as well as the HUMANITY stood and stand for me and my team in first place. 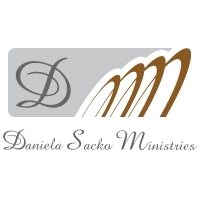 I would also like to emphasize here that the work and the projects that we have started with Daniela Sacko Ministries should not only change the situation for the affected children and women and also the development for a certain time but permanently and sustainably. For me, the organization is neither a business or a pastime by the way. Ever since I was a little girl, the conditions that I only knew from the TV have mesmerized me and I kept asking myself why people who are living so far away are having such a different life then us. The older I got, the more I was almost obsessed with the background and the question WHY and to find an answer and solutions for this? Why does this "Third World" exist? Why is there poverty when there are actually facts and statistics that testify that there is enough food for 12 billion people. Why are girls still being cut down in the most cruel way, when they "know" today that the reasons do not exist or are true? Why is education deliberately prevented? Why do children have to prostitute themselves for debt money or do inhumane work? Why are underage girls and boys are being sold for a marriage and gifts? Why does this cycle not dissolve despite our knowledge and our possibilities? So many questions I'm looking for answers and solutions! That's exactly my job! I question, until I have my answers and can contribute something to the solution. I get up and lend my voice to those who are not heard. I use my time here on earth to change things. This work requires a lot of strength. And yet there are people who question and condemn my passion and vision. The work often requires hard decisions. No matter how hard it strikes me or how much it makes me disappointed, or hurt, it's all about changing something about the aforementioned facts! It is we humans who have made the world what it is unfortunately today. There is so much hate, so much injustice, so much poverty and suffering! Since I ask myself daily, should that be the life and the world that God has created for us? Much has happened in the past few days. Much that has left me in doubt, whether I can do it all or whether I can even muster the strength for it. Since the beginning of the founding of this organization there are always threats via social media. From the beginning I am often insulted or convicted. Whether it is on the part of the people here or in Africa! I'm not afraid because I'm not alone! Without my faith and without my family and friends who believe in me, it would not be possible! For that, today I want to thank God and the people who believe in me! For that I would like to thank my team here and my little team, which has stayed with me in Kenya, THANK YOU! Together we will be able to make the world better in Jesus Name!